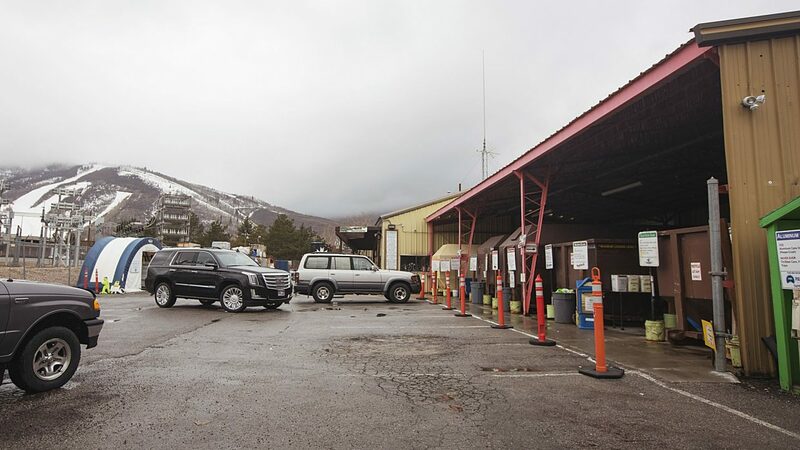 Summit County staffers have been working on a long-term plan for managing solid waste and will be presenting the proposal to the County Council on Wednesday. Last year, staffers were charged with re-working the county’s solid waste management plan that was developed and adopted in 2008 to include more realistic ways to divert waste from the Three Mile Landfill and encourage environmentally sustainable practices such as recycling and composting. Officials estimate that the landfill, which is located near Rockport Reservoir, only has enough space to accept waste for about 35 more years. This is thelast year for the existing landfill cell and, in the fall, the county plans on transitioning to a new lined facility for the remaining years. Summit County’s integrated solid waste program consists of a municipal solid waste landfill — Three Mile Landfill — countywide curbside residential solid waste and recycling collection, including several central dumpster service areas where residences are remote and widely spaced, a household hazardous waste exclusion program and a public education program, according to a county staff report. The updated draft of the plan includes goals for diverting solid waste, such as reaching a 15 percent reduction of waste going to the landfill by the end of 2023 and 30 percent by the end of 2028. It addresses the creation of various programs, such as the commercial cardboard waste diversion and commercial compositing pilot programs, as well as the identification and designation of a property for a county recycling transfer facility and warehouse for solid waste partners. The plan covers current service obligations to maintain programs already in place, development of a landfill with additional cells that will meet state and federal requirements, as well as short- and long-term initiatives. Young said staffers will begin discussing the funding required to bring the plan to fruition. She said it will begin as early as this summer when the 2019 budget process begins. The staff report shows an estimated $5.5 million program budget. Another critical component of the plan is sustaining the county’s ongoing partnership with the nonprofit Recycle Utah. The plan includes the prospect of creating a new location for Recycle Utah and expanding the organization’s educational programs. Carolyn Wawra, Recycle Utah’s executive director, said she is impressed with the proposed plan and the foresight that it shows from the county. The County Council is scheduled to review the solid waste master plan on Wednesday, April 11. The item is listed as a discussion with the possibility of approval.